Festival Weddings Australia’s talented team of Stylists will style your Event in any manner of ways. With contemporary, cutting edge stylists, we will provide all the necessities & talking pieces. We are passionate about beauty & love creative expression. We are original, versatile & affordable with a huge range of Wedding Hire items for your selection. Whatever your style, rustic, vintage, country, retro, elegant, luxurious, shabby chic, provincial or minimal, we have something for everyone. Take the pressure off & let our creative team style your Festival Wedding in unforgettable fashion. With an array of gorgeous Lighting, lovely Lounges, fantastic Florals, outdoor Dance Floors, Wedding Arbours, Registry Tables, Banquet Tables, Seating, Wishing Wells, Bunting, Bell Tents, Tipis, Games, a choice of Funky Bars, Retro & Vintage Caravans, and so much more – we have you covered! Our collection of one off pieces are mesmerising. We have a penchant for all things vintage, antique, shabby chic, provincial, Australiana, handmade, retro & unique. We are always on the hunt & adding to our collection. 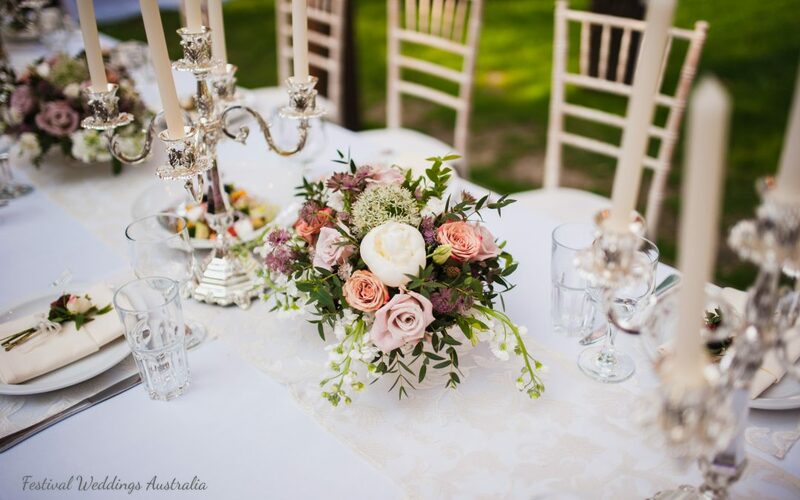 Ask us today about Festival Weddings Australia’s team of talented Stylists. We will come to you & create your own Private Festival Wonderland!